What a wonderful turn out! 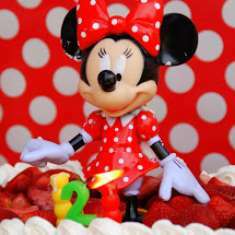 Happy 1st Birthday baby Girl! 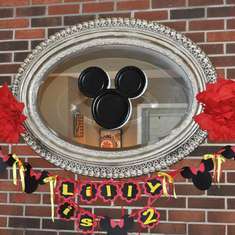 I know how to make these wreaths but how do you make the ears? Hi! Where did you get this from? Sorry for the delayed responses. The ears are just the small wire wreath forms in the floral department. I used pipecleaners to attach the decomesh and zip ties to attach the small wire wreaths to the large circle. The baskets are actually easter baskets! so we used them twice. I got them at party city. where can i find one of these to purchase? Hi!! I really like how you did the center pieces! 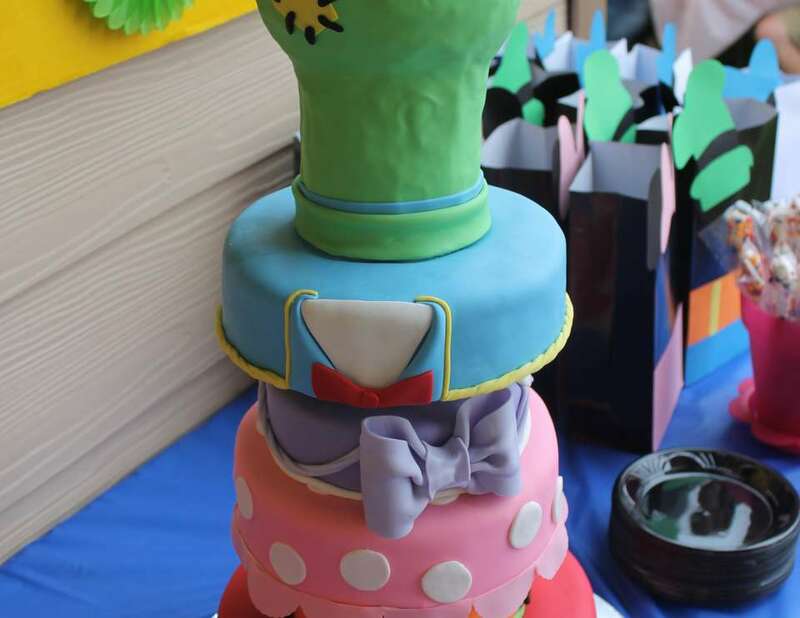 Where did you find the cutouts and names of the characters? Did you do them yourself? Can u tell me where I can buy this? I'd like to know where I could get these please. where did you get the Toodles pinata? 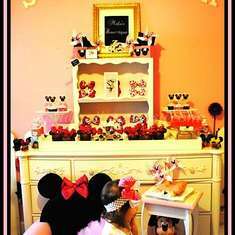 And the Mickey and Minnie buckets are Easter Baskets from Party city. hi can i buy this in here? Where can I find this pool? 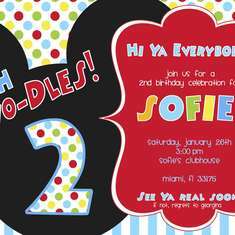 Oh TWO-doles Sofie's CLubhouse Party!